← The Top of the D’s Quickfire Questions: Amy Tennant. The Top of the D meets: Susie Rowe. For most people, playing one sport at the top level would be a dream come true. For Susie Rowe, it has been a reality in not one, but two sports. Rowe turned her hand at international cricket before resuming her career as a player in the Investec Women’s Premier League for Canterbury. With the Polo Farm side pushing for top spot and a place in Europe next season, The Top of the D caught up with the six-hitting sensation to talk ambitions, experiences, cricket and of course, hockey. The Top of the D: For those who might not be aware, just talk us through the cricket side of things, what you’ve achieved etc. 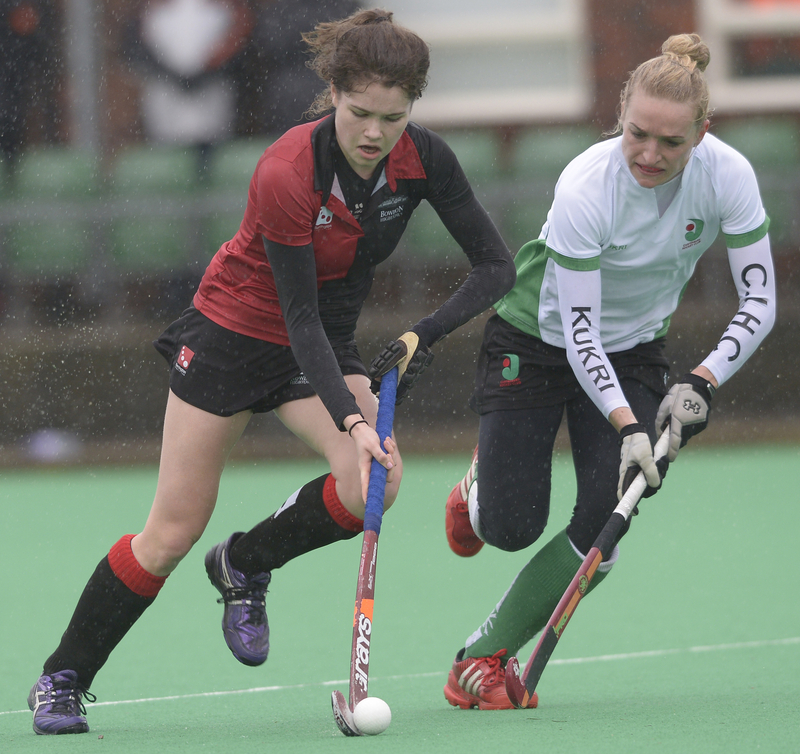 Susie Rowe: I made my debut for England in October 2010 and was in the squad for about 3 years. I played 20 or so times most of which were T20 games. I really committed to it which meant that I wasn’t able to play hockey in case of injury, I didn’t pick up a stick until I stopped playing cricket last summer. That’s the point where I decided I wanted to play hockey again. At first I thought it’d be just for fun because I’d played at the highest level for cricket I thought I’d want to just have a run around again. Up until Christmas that was the case, but after a taste of the Indoor Premier League I knew I wanted to play at as high a level as possible. TTOTD: Was it just the desire to play hockey that made you want to leave cricket behind or were there other factors as well? SR: Although it’s a team sport, at times cricket is very individual. I loved being around teammates so the monotony of training on your own and having a session of just you and your batting coach didn’t really motivate me to do it on a regular basis. I lost a little bit of my love for the game. I was always on the fringes of the England squad as well. I played T20 games but often I just fielded didn’t bat and didn’t get much of an opportunity. I broke my thumb before the World Cup in Sri Lanka, too. Had I gone to the tournament things might have changed but they didn’t which was the turning point for me. I never really got another good opportunity to stake my claim and on the occasions I played I didn’t perform. In elite level sport, the brutal reality is that if you don’t step up, you’re out. I gave it my best shot and I didn’t have any more to give. I missed hockey too much at that point and decided to call it day with cricket. 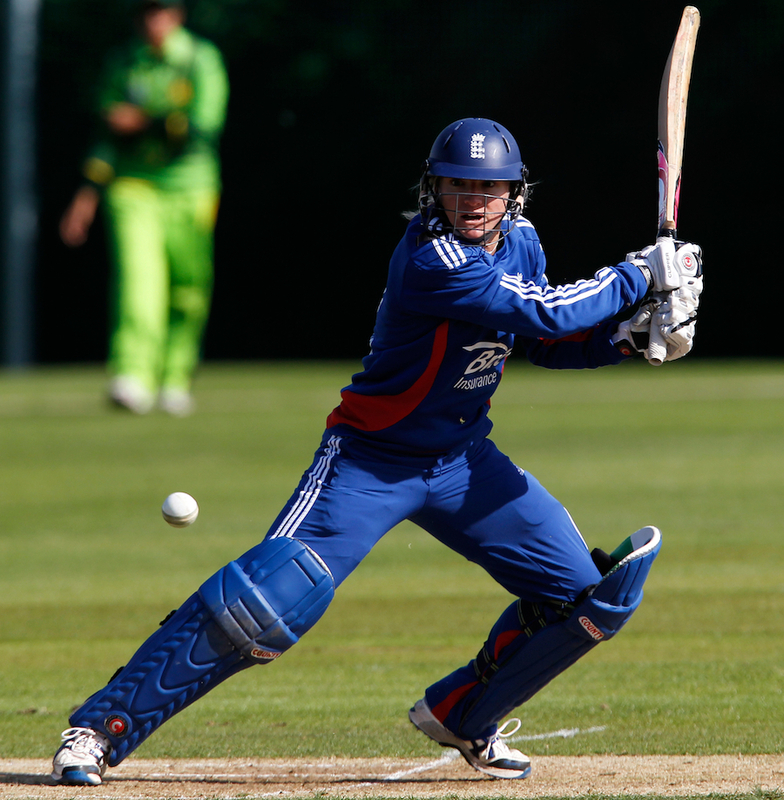 TTOTD: We’ve seen a number of women’s cricketers retire fairly early, Isa Guha, Holly Colvin etc. I think that’s in part due to a lack of funding and having to have a “real life” and a “real job”. Did that have an effect on your decision? SR: We started to get some funding, match fees and win bonuses things like that. Had the game gone professional you never know what might have happened, I might have tried to hang around but it would probably have been for the wrong reasons. I’m glad that wasn’t the case, to be honest. TTOTD: Growing up was it just hockey and cricket, or did you play all sports? SR: I had four main sports. In the winter I was playing football and hockey. I played football for Charlton and Milwall in the school of excellence when I was pretty young. I couldn’t do that and hockey as they fell on the same day, so I decided to choose hockey as I enjoyed it more. I played tennis and cricket in the summer. I didn’t enjoy the tennis as much as it was too individual and a world full of pushy parents which didn’t suit me or my family, so I stuck with cricket and hockey. 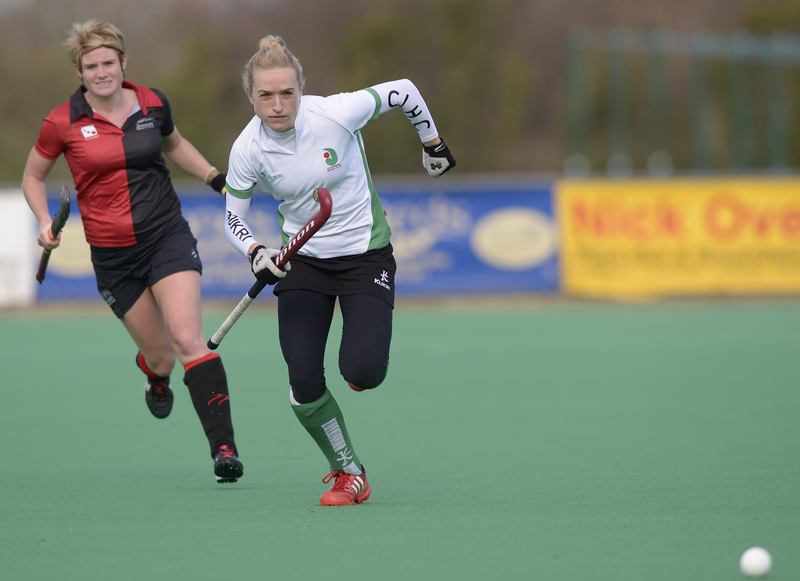 TTOTD: You’ve played cricket to the highest level and hockey at the top level domestically. How do they compare, is one more professional than the other? SR: Hockey is more professional, I would say. There are a lot more females playing hockey so the club set up is fantastic. The way things are here at Canterbury is brilliant. Everyone is so well supported and committed. Club cricket for women is totally different. Some games you’d be playing with ten players, it’s just not the same. England cricket is moving towards a more professional set up, but likewise for GB Hockey they have the central programme that are paid to play, which doesn’t happen in cricket. It probably should happen as you have to put the same amount of effort in but funding isn’t there in cricket. TTOTD: Having played both sports did you find one helped with the other, or did the crossover hinder you? SR: I really enjoyed the balance and diversity of playing two sports. Playing both I think was actually when I was at my best. If one isn’t going so well you can focus on the other and not get too wound up about it. The sports complemented each other: When I was playing at Canterbury I was the fittest player in the England team. I was gutted when I was told to stop playing hockey. TTOTD: So you didn’t find that after a long hockey season, your cricket became, a bit less technique and more “front leg out of the way, aim for cow corner” every ball? SR: Oh yeah. It always showed when I’d been in hockey mode. My bottom hand would be doing too much when I batted. I was never strong on the offside, so hockey kind of helped with that. Cow corner was my favoured area, anyway, hence my T20 ability! TTOTD: What would you say your sporting highlight is? SR: Representing England at cricket. Being able to travel to so many countries being part of the last Ashes series in Australia was awesome, too. It was all new to me and I was sat in the dugout next to Kevin Pietersen and Graeme Swann feeling pretty happy with life. Outside cricket it would be my spell at the University of Maryland. We won three national hockey championships whilst I was there. It helped my hockey so much. I’ve been quite lucky with the things I’ve been able to experience really. TTOTD: Do you think your variety of experiences, playing different sports at home or abroad has given you a different outlook than perhaps others might have? I’ve been very fortunate to experience what I have. I’ve travelled the world playing hockey and cricket and I guess the main benefit for me is that I’ve become very accepting of different people, cultures etc. I learned to get on with almost anyone. Now I’m back home, coming down the other side I perhaps do look at things differently. TTOTD: What was your biggest sporting disappointment? SR: It’s a toss-up between not making the England U21 hockey side and not making the Cricket World Cup through injury. They were the turning points of both my sporting careers. Had those gone differently then who knows where I might be? TTOTD: Do you have any ambitions in hockey still to achieve? SR: To be honest, this is the highest level I aspire to play at. Playing Premier League for Canterbury is just what I want. I hope to help them achieve European qualification. That was my dream when I was here before and I’d really like to achieve that this time around. I think in terms of England or GB I’m the wrong side of 25 for that to be a realistic possibility. The three years I didn’t pick up a stick really affected me and my confidence so I feel I went backwards quite a lot. I’m trying to get back to where I was. One of the big reasons for coming back here was I wasn’t happy with the standard I was at before, I want to be the best I can be, but I think international level is a bit out of reach for me now. TTOTD: What would you prefer, a century in front of a packed house at Lord’s or a winning goal in the Olympic Hockey Final? SR: That’s such a tough question! TTOTD: It can be any type of century you like- a ton where you bludgeon them to all parts, or a well-crafted stroke maker’s century. It’s up to you. Likewise it can be a brilliant goal. SR: OK. I think I’ll take the winner in the Gold medal match in the Olympics. Yes. Definitely that one. TTOTD: Finally, can you sum up why you love hockey? SR: My closest friends are from hockey. It’s a great team sport that gives you so much on and off the field. It keeps you fit, too. It’s just a fantastic sport for so many reasons. So, having left behind a blossoming football career in her youth and then a top level cricket career, Susie Rowe is now finally back playing the sport she loves. With a fierce will to win and the skills to match, expect the 26-year-old to play a big role in Canterbury’s quest for Europe. The Top of the D would like to thank Susie Rowe for her time and good humour in conducting this interview.